Shop for Genuine AIS and Saint Gobain car glass for your Ciaz at our online store. Auto Glass Masters offer genuine Maruti Suzuki car glass at best-discounted prices. 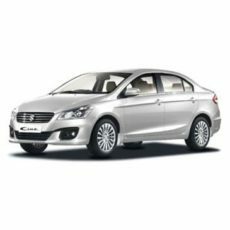 Maruti Ciaz front glass replacement at your doorstep is available for all online bookings. Our team of experienced technicians will visit the place of your choice – your home or office, and get your car windshield replaced. Genuine Car Glass for Maruti Suzuki Ciaz is available in stock at our service centers as well as our warehouse. Hence any order received at our online shop is completed within 2 working days. Book online Genuine AIS windshield for your Maruti Suzuki Ciaz. Prices are inclusive of product and fitment charges (AIS Genuine Windshield + PU Sealant + Installation Charges + 18% GST).